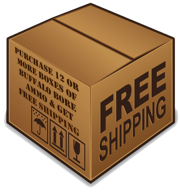 As of this writing, we are entering our 20th year of manufacturing and selling ammo as a company. I’m personally entering my 45th year of hand-loading and developing ammunition on a personal basis, all of which eventually finds its way into developing this business/company and providing a quality product to my customers. We live in an increasingly electronic and digital world that keeps us from developing personal relationships because we can do our communicating electronically. One of the down-sides to this technology is that we have lost much of the normal human decency that comes from personal interaction with others. How any person can have the lack of feeling for others, enough to say, “Give me (for free) the very recipe to your success” and perhaps survival, (expensive load data) is beyond my ability to understand. I do understand if the person asking for something so unreasonable is a 19 year old, that has yet to experience much of life and may still be breast feeding metaphorically, but when fully grown adults, that may even own their own businesses, ask for such, the callous disregard for my (and my employees) welfare is so blatant, that I am compelled to write this short article. Friends, I have taken and endured much risk over the last 20 years, to develop this company as a small business owner, in the hopes that I can make a living by providing a valuable and useful product. If I give away my very recipes, so they can be posted on the internet or otherwise shared, I may as well shut my doors, because I will not last long in business. The fact that I have to explain all of this to folks who would selfishly ask for my hard to come by and expensive to develop load data, is the hardest part for me to accept. I believe we need to think more about others, not ask for anything for free, but go earn our way in life. Never mind that if I gave away this valuable information, some folks are so selfish as to misuse it, hurt themselves and then sue me because I gave them data…….we live in a world where folks want what they want for free, regardless of how it impacts others and then if they do not properly use, what they got for free, they will sue! Please let’s be thoughtful of the blood, sweat and tears of others. Let’s not assume we are entitled to anything for free, especially at the expense of others. Our communications ought not be so one-sided in heart and mind that we ask for things, for free, that have come to others at huge expense or that others rely on to pay the bills. Thank you for thinking about this.